Call me out of touch, but I really don’t keep up with youth culture these days. In fact, I’d say that much of what is currently in vogue is lost on me. 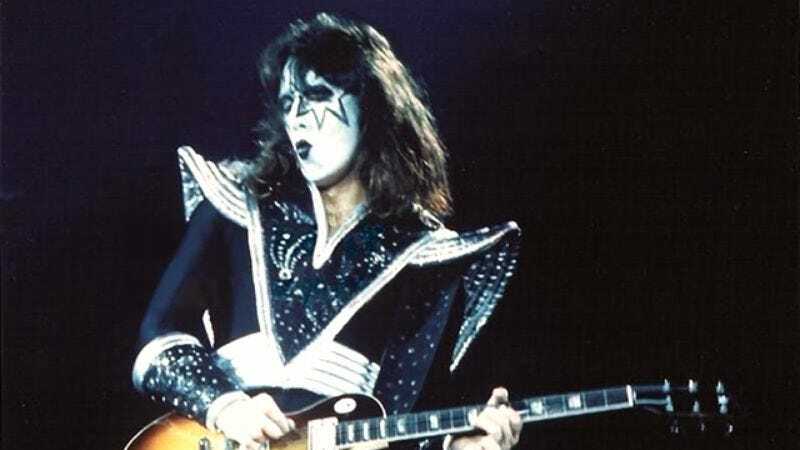 However, I had a shocking wake-up call this past weekend when I brought up Ace Frehley in front of my three nephews (all members of the so-called Millennial Generation) and only one of them knew who that was. This only solidifies a belief I’ve held for several years now: Millennials are the worst generation in the history of the United States. Go up to any American kid and ask him if he’s heard of Ace Frehley. If my three nephews are an accurate representation of all American youth, then two out of every three Millennials that you ask will answer you with nothing but a blank stare. Frankly, it’s embarrassing. This country used to be filled with young people who could recognize Ace, not just by his name, but also by his signature guitar licks. If you play an Ace riff for a Millennial now, he asks you to “turn that music down” because “this is [his] room,” and it’s “weird when your uncle just walks into your room without knocking and turns on loud music from the ’70s.” It’s pathetic. This country used to be filled with young people who could recognize Ace, not just by his name, but also by his signature guitar licks. What disgusts me most about the Millennial generation is how preoccupied with surface-level appearances they are. Looks are apparently the only things that matter to them. You play them Ace’s crashing opening chords in “Cold Gin,” or his iconic bluesy riffs in “Strutter,” and they couldn’t be less interested. But if you show them a picture of Ace, then they say, “Oh! The Kiss guy!” For Millennials, it’s all about looks and social status, as if riffs and solos didn’t even matter. Listen, I’m not saying that my generation is perfect. We’re arguably the generation that caused the financial crisis, made a lasting negative impact on the environment, and made countless other messes that will take future generations a long time to clean up. But at least we know who Ace Frehley is. When I was growing up, the name “Ace Frehley” meant “the best rock guitarist of all time.” To my nephews, “Ace Frehley” is just the subject line of the 15 emails I’ve sent them in the past three days. I could not be more appalled at the current generation of American youth. This used to be a country filled with people who knew who Ace Frehley was. Now, two out of my three nephews are so absorbed with social media and taking selfies that they can’t be bothered to listen to Destroyer front to back and educate themselves about the king of arena rock. I fear for the future of this nation.